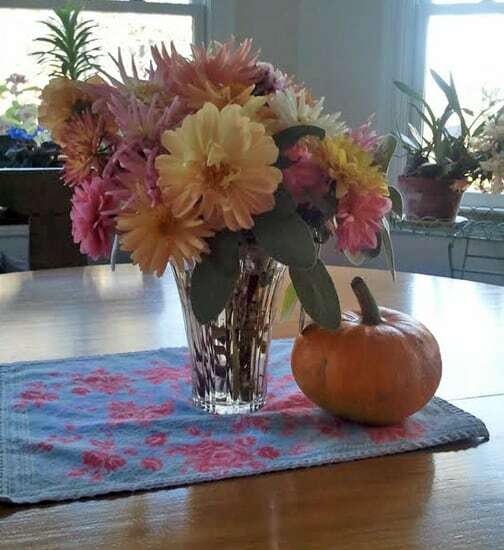 I picked the last bouquet of dahlias today. The foliage was already shriveled from a light frost on Sunday night, and it’s supposed to get even colder tonight. I picked some of the last greens from the garden for our salad, and cooked up the beets that were harvested last weekend. Although it seems appropriate to mark this day, the end of this year’s growing season, my impulse is not to ramble on about endings and beginnings, or even sadness and relief. I’m inclined instead to just express my gratitude for the garden. Let this be my prayer of thanks.